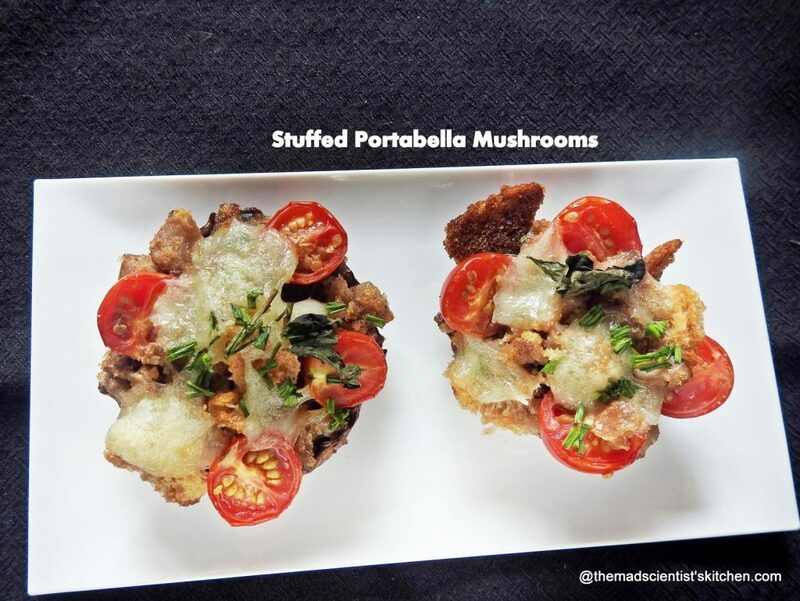 Stuffed Portabella Mushrooms are a delicious way of including a healthy and filling meal, fast! Portabella or Portobella are huge mushrooms, round but with flat caps. They have black gills underside and the stem is edible. The best part of Portabella mushrooms is they have a rich and meaty texture and flavour, which it retains the meaty flavour even after cooking. The Portabella mushroom, Agaricus bisporus, is also known as Agaric cultivé, Champignon de Paris, and Cultivated Mushroom. Like all fungus varieties, Portabella natural sources of vitamin D, copper and selenium. A mature mushroom is also a good source of vitamin B6 and niacin. When I saw this recipe at Mayuri’s place, I wanted to try it immediately and luckily I found Portobello mushrooms the same day. So I adapted the recipe to suit my daughter’s taste. It is Caprese style only since the cheese is less I have not labelled it as such. 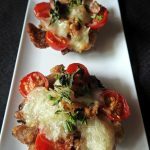 The main ingredients of Stuffed Portabella Mushrooms are of course portabella mushrooms, mozzarella cheese, tomatoes, basil, chives, garlic, butter. Remove stems and the gills (I am not sure if this is a step needed but most recipes said this and hence I removed them). Reserve the stems and discard the gills. Add garlic and stir-fry for a few seconds. Cool and apply to the mushrooms with the garlic butter. Marinate the mushrooms in the soya sauce and chilli sauce mixture. In the balance garlic butter, add the mushroom stems chopped. Cook covered. Add bread toast crumbled coarsely, chives chopped and mix well. Switch the oven on at 180°C/400F. You can grill them too switch the grill on high. I used a glass lid of casserole and placed the mushrooms on the lid. Fill the caps with the toast and stem filling. Add the sliced tomatoes. Sprinkle with chives. Tear the basil and add to the mushroom. Add the mozzarella (I used miserly quantities as kiddo refuses to eat). Bake for 10-15 minutes or until the cheese melts. I would like more basil and cheese but the family members do not enjoy them so I cut the quantity. Mozzarella I will recommend 100 grms but I used about 50 grms max. delicious… I love this recipe.. it sounds intersting because i never tried this yet.. Please try and get hooked just like us. Wow, this stuffed mushrooms is definitely a real torture for mushroom lovers like me. Feel like finishing that whole plate. Mushroom in Caprese style really very innovative . Archana It looks so perfect for a party starter thanks for sharing this. Welcome. But in my party they may never reach the table. Most of it will disappear and settle on my waist. What a great way to use mushrooms! Such a delicious and tempting recipe, It’s great as a starter for the party or after school snack. This looks delicious. Portable mushrooms are super delicious after they grilled or cooked. Yes, they are I am just discovering the pleasure of these mushrooms. 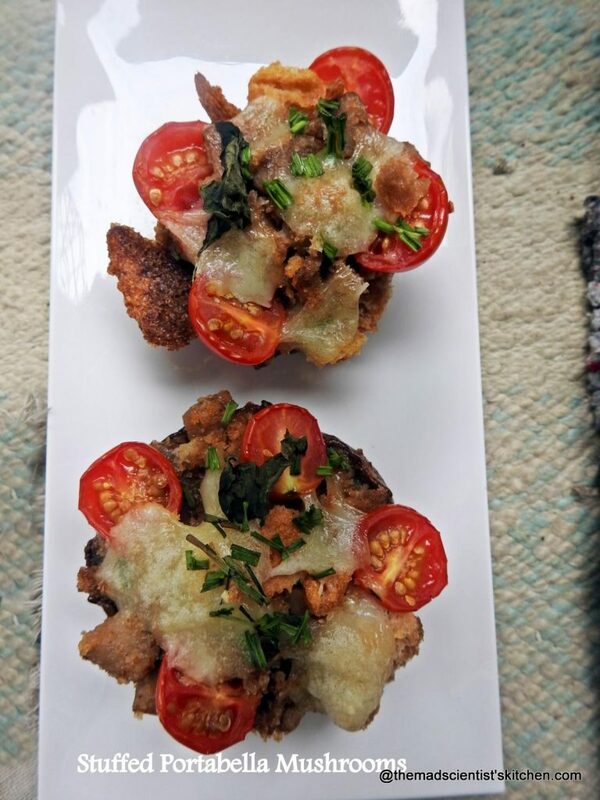 Great recipe with portabella mushrooms. Looks so inviting and delicious. Great to serve as appetizer at parties. Perfect party snacks.. Sounds delicious and great way to use Mushroom ! 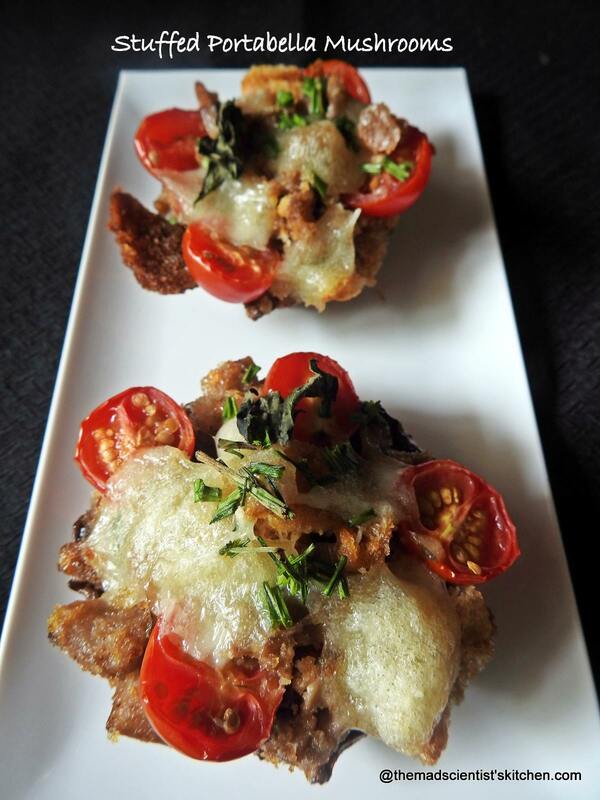 Perfect party snack…stuffed mushrooms are a fav at home…will try your version the next time I make…Yummy share!! Wow Archana, that platter looks so tempting! I would love to have a bite. This dish is so inviting,if my kiddo sees ,she will definitely make me prepare it!! Well, then I better make it a point to show her. Are you coming down? I need to meet her too. Looks delicious. I love trying new mushroom recipes???? Do try and let me know. Will love to see your pics and twists to the recipe. Yummy mushroom recipe.. this page I found so many kids recipe with healthy ingredients. 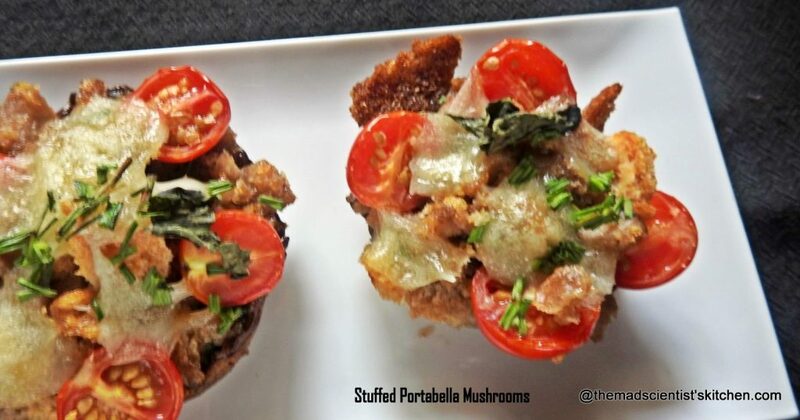 This stuffed Portabella mushroom looks delis..
Looks amazing and filled with loads of flavours. I consume mushrooms only in 2 ways, either in a stuffed sandwich or in Italian style as they have a strong aroma and earthy scent which I am not very fond of but consume only due to its health quotient. This appetizer is something I would certainly like as its masked with cheese, tomatoes and herbs. LOL, not all will like the earthy flavours of mushrooms, especially these mushrooms. But then it builds on you. This one looks delicious Archana, I am not really a mushroom person but loving this one. True not many people like mushrooms. I am glad you have liked this one. I have come here after a long time and have since subscribed. I hope to be regular henceforth. I have no observation to make in this post as mushroom is not my favourite. Thank you, Sir. I like your frank opinion. Nice dish and I love the stuffing that goes inside it. Not a huge fan of mushroom so need to substitute that though! Not many of us like mushrooms. But then it grows on you. Such a wonderful and delicious recipe. Fab share!! Stuffed Mushrooms look so flavourful and appetising. Fab share ! !